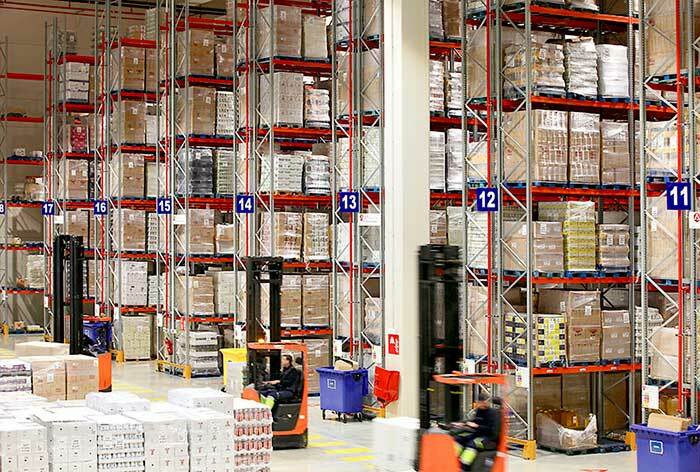 The warehouse is the building in which the different storage systems are installed and whose main function is the maintenance of products in a controlled and orderly manner. 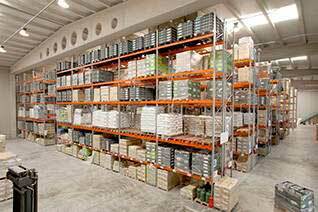 Warehouses are a basic and essential infrastructure in a variety of industries, and safety in their interior will largely depend on the condition of any storage system (adjustable pallet racking, compact pallet racking, etc.). It is therefore of vital importance to take into account a number of key factors to maintain an excellent level of safety and quality in the warehouse. • The warehouse operators must use appropriate protective footwear, steel toe and sole and slip-resistant shoes. • In warehouses with high levels of noise, ear protectors must be worn. • The use of protective helmets will be necessary for storage at height and with a risk of falling objects. • Safety glasses must be worn if the warehouse has cutting areas. • The use of appropriate protective gloves is recommended for handling different materials. Maintain the forklift in perfect condition and maintenance: siren, horn and warning light must work correctly. The existing signage in the warehouse must be respected. A forklift truck must never be used for transporting materials that exceed its loading capacity or for transporting people, and must only be used by qualified and authorised personnel. The warehouse must have the following marked: the different operational areas, safety areas, evacuation routes and doors, machinery areas, bathrooms, plan of the warehouse, etc. In addition to the key factors outlined above, a completely safe warehouse must have: smoke detectors, fire alarm system, emergency lights, first aid kit, defibrillators and video cameras. 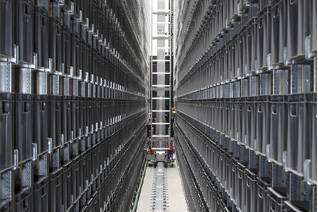 One of the basic elements for a completely safe warehouse is that it depends on companies such as AR Racking, dedicated to the production, design and installation of storage systems. The correct operation and safety of the storage systems (adjustable pallet racking, drive in racking or automated systems) is one of the key factors, which is why aspects such as the raw materials, design of the industrial racking and its adaptation to the weather and seismographic conditions in each territory must be taken into account. Here the responsibility lies with the engineering teams of companies from the sector who must combine all their experience with the latest structural calculation technologies. • Unit loads stored at height must be correctly strapped and film wrapped to prevent the falling of any loose objects. • The pallets must be correctly supported on the beams and/or crossbeams. • The necessary clearances must be respected for the placement of unit loads in their locations. • In the Drive In storage system, it must be ensured that the forklift is never located underneath stored material. 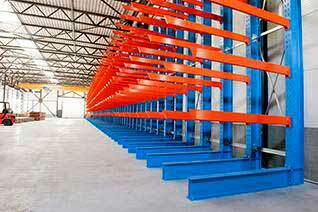 • Know and respect the maximum loading weight of industrial racking units. An installation must be completely safe not only at the time of its commissioning, but also over time with the carrying out of control and maintenance tasks and the replacement of damaged items. The maintenance tasks for storage systems must be planned in advance. Starting with a brief daily inspection checking with the naked eye that nothing appears out of place, and continuing with exhaustive periodic technical inspections in collaboration with the company that provides the storage system. In this control phase it is possible to detect any elements of the structure of the storage system which due to the daily operation of the warehouse might have become damaged. Elements that usually suffer the most impact in the warehouse are the industrial racking frames, although the beams can also become damaged from the impact of the forks of the forklift truck. When these components become damaged it reduces the capacity of the racking and therefore poses a potential risk. Maintenance managers, with the manufacturer’s support, must determine if the damaged component should be replaced or if its properties are still intact. If the specialists confirm that the component is damaged, it must be replaced with a new one that once again returns the same original characteristics to the structure. For the replacement process, the damaged level or levels must firstly be unloaded and rendered unusable until the replacement has been completed. With regard to the replacement, we advise against any attempts to carry out repairs due to the lack of evidence that confirms that manipulations of the damaged uprights or beams return the structure to the same original characteristics, with such actions therefore potentially posing a significant risk to the safety of the warehouse. People are the key that enable us to have a completely safe warehouse; their initial training, the advice received by the company and their day-to-day behaviour will ensure that all of the above key factors are fulfilled and that we have a warehouse and storage systems in excellent conditions. It is therefore of vital importance to invest efforts in staff training and generating a link that allows all levels of the company, from managers to operators, to work in the same direction and meet the very highest safety and quality standards. Inside the warehouse, operators must know the characteristics and limitations of their work equipment and tools, control the impacts on pallet racking units and know the procedure to follow if these become damaged.